Early stage SaaS startups typically struggle with one of two things. When you are just starting out, the first struggle is all about mere survival. Will we find customers willing to use and pay for our product ? Good teams typically manage to find ways to negotiate that first challenge. The playbook has been sufficiently commoditized that if you execute well enough, you can actually succeed in getting those early customers. Its a challenge for sure, but is getting easier and cheaper to overcome — which takes me to the second challenge. Once you survive that initial phase, how do you continue to stay relevant and grow? For if you don’t grow, you’ve only prolonged the inevitable and will likely get disrupted into irrelevance by the next upstart that comes along. When you play in a commodity market, that’s the sad reality. If you find yourself gaining customer adoption, you can be fairly certain that competition isn’t far behind. Unless you find a way to establish sustainable differentiation while you have that head start, you will ultimately die. And that differentiation now increasingly comes down to the value of the data flowing through your platform and how you are able to leverage it better than your competition. In other words, if you are not thinking about constantly learning from the data that you are gathering and enabling implicit intelligence via your products, the odds of survival are going to be stacked against you. Given the significance this topic carries for us at Swym, I was really excited to have the chance to sit in on Ashwini Asokan and Anand Chandrasekaran’s session on AI/ML for SaaS at SaaSx5. And they most certainly didn’t disappoint. With a lucidly laid out argument, their talk served as a strong wake-up call for the SaaS founders in the room that weren’t sufficiently worrying about this topic. Ashwini started out by underscoring the fact that SaaS growth was slowing in general. There’s no denying that most solutions are rapidly becoming commoditized — building a good product has gotten fairly prescriptive, costs have come down and barriers to customer adoption are a lot lower than they used to be. That inevitably leads to markets getting very crowded, making survival increasingly difficult. If you don’t stand out in very defensible ways, you will perish. To make matters worse, AI is slowly but surely causing entire categories of work to disappear — Customer Support, SDRs, Financial/Market Analysts, to name just a few examples. If those workers were your market and you were helping them be more efficient, you are in trouble because your market is disappearing with them. You better be evolving from being software that’s serving those people that in turn serve a function, to actually serving the function itself. Of course you do this with human assistance, but in a progressively intelligent fashion that makes you indispensable. In order to stay relevant, you really need to create a viable roadmap for yourself to graduate from being a simple feature that’s part of a larger platform (No one likes being told they are nothing but a feature, but this really is where most early stage SaaS products sit today) to becoming the platform itself over time. It can most certainly be done because the opportunity exists, and the access you have to your data and how you are able to leverage it is likely to be the most effective weapon to get you there. Think really hard about new use cases you can light up, automations you can now enable, important solutions that hitherto weren’t possible or practical — enabling those capabilities is what will give you stickiness. And you can in turn leverage that stickiness to allow others to build on the data platform you’ve created to expand your moat. Easier said than done of course, but it is the only path to staying relevant. Alexa, Salesforce, Adobe, Hubspot, and most recently Stripe with their just announced app store, all come to mind as stellar examples of execution on this strategy. How should I be thinking about Data Science? Anand followed that up with some really good advice on how to go about this, especially touching on what not to do, and it was clearly resonating with the audience. For instance, when he highlighted the fact that most AI initiatives that start with “Here’s the data I have…what can I do with it?” are doomed from the get go, a lot of heads in the room were nodding in agreement — seemed like a pretty common trap that folks had fallen into. Instead, his advice was to identify the end goal that mattered first, with the caution that this could be deceptively challenging. Once that goal is well understood, then focus on the data you have and the gaps that exist — and your challenge basically boils down to filling those gaps and cleansing/validating your data. Those are your most critical, time-consuming steps in the process for once you get the data quality you want, it becomes much simpler to build and iterate your model around that and figure out how to engineer this into a repeatable part of your workflow. The sub par data quality is one of the most common causes for AI projects “failing” and no amount of modeling proficiency will save you from bad data or a poorly understood problem statement. I’m really glad to have had the benefit of listening to their talk in person, and now that I’ve let the arguments sink in over the past couple of weeks, a few truths have become indisputably clear in my head. The AI shift is not one you can ignore as a SaaS founder. If you don’t get on the train, you’ll likely end up under it. And no, getting on the train doesn’t mean simply attaching a “.ai” to your domain name and claiming success. It really comes down to internalizing your vision for why you exist, identifying in very clear terms how your roadmap to making that vision a reality will need to evolve given the AI shift. How do you see your problem space changing in the the next 2–5 years thanks to AI, and what does that mean for you? And given your existing strengths, what can you do to make the most of that shift? Its important to remember that a lot of the fundamentals of a good SaaS story still don’t change. For instance, a sound distribution strategy is still very much necessary, for without sustainable access to customers, the rest of it is moot. Likewise, you want to be able to protect the access you have to your most valuable asset, your data) and lower the barriers enough for adjacent players to be able to work seamlessly with your offering. All those advantages you have still very much matter. Really, the biggest mental shift you need to make is thinking very deliberately about how the world around you is changing because of AI, and how you leverage those strengths so you continue to have proprietary access to the data you need and become an integral part of that change. The article is authored by our volunteer Arvind Krishnan, CEO & Founder – Swym Technologies. At SaaSx5, I had the opportunity to hear Vijay Rayapati share his story of Minjar. This was a fairy tale with all the right ingredients that kept you engrossed till the end. With angels (investors) on their side, along with Minjar and Vijay’s prior experience, Minjar could have faced many Goliaths in their journey. Instead of going the distance alone, Vijay followed the Potential Strategic Partner (PSP) playbook (Magic Box Paradigm) and identified one in AWS. His reasons were clear, one of the biggest challenges a startup faces is distribution. And, a PSP can open several doors instantly, making distribution easier, revenue growth faster and gives the startup multiple options. As a startup, you need to think about a PSP early in the game at the “Flop” and not at the “Turn”. You need time to develop a PSP and you need to start early. Identifying a PSP in your vertical maybe easy, but building a relationship with them is the hardest. It requires continuous investment of time to build the bond with the PSP such that they become the biggest evangelist of your product. This involves building relationships with multiple people at the PSP -from Business, Product & Tech- to make sure you have the full support from the company to scale this relationship without roadblocks. In the case of Minjar, with AWS as their PSP, it opened roads to customers, built their brand and also increased the value of the company. One of the highlights of the Minjar story was about the CTO of AWS, evangelizing the product at their conference. As Vijay ascertained “Invest time in people who can bring visibility and credibility to your company”. Focusing on these people is a sales channel by itself, and a Founder has to be involved in building that channel when it shows glimmers of hope. The Minjar story had a happy ending, because they invested more time in building their PSP relationship and limiting other marketing activities: they did not spread themselves too thin. This involved multiple operational changes like training, presenting thought leadership & co-selling at conferences, and making sure the end users at the PSP are successful in using your product. It is also important to note that a partnership is not a reseller or transactional relationship. A partnership is a relationship of strengths, in which each entity brings unique skills and together provides exponential value to the end customer. Partnerships work when you have champions leading on both sides of the table and one of the best outcomes a PSP can provide to a startup is a strategic acquisition. A PSP is one of the best ways for a startup to exit, especially if you have not raised a lot of capital. Persona: Not every large enterprise, who might also serve your target customer, is a valid PSP. An enterprise is an ideal PSP if the value you provide as a startup is something that can be incorporated into the product or process of the Enterprise, and without which the end value of the enterprise depreciates. If your startup is not important to the customers of the PSP, then they are not a match for your startup. Timing: In your early days, a startup needs to focus on customers, customers and more customers. A PSP is likely to work with you only if you are part of the affordable loss for them. Very early in your stage the risk is too high for the PSP to consider the relationship an affordable loss. Remember, you are adding value to the PSP, hence any risk in the value proposition you bring to the table, is a risk to the end customer. Only after having proven your value to your own customers, will a PSP be willing to take you to their customer. Credibility: Today, Tagalys works with many recognizable customers in the country and that makes the process of gaining credibility & trust easier. Your product is only as good as what your customer says it is. For a PSP to work, you need buy in from stake holders like the CEO, CTO & Product Managers and they are going to put their neck on the line if they can trust you. Customer references are the best channels to gain trust. Lifecycle: As CEO, I have time to invest in meeting with various stakeholders at the PSP because our product is in steady state. This steady state of the product is theright time to speak with a PSP because your team can take on this additional responsibility. We also have a clear understanding of our expected outcomes, risks and upside in working with the PSP, hence our conversations are well guided and makes the discussion very productive. Bill of Materials: While Tagalys is a line item in what the PSP provides to the market, we are an important line item who can potentially extrapolate the end value provided to the customer. Not every startup can find a strategic partner, but one thing is for certain, as Vijay said, “You miss 100% of the shots you do not take”. Antony Kattukaran is the Founder & CEO of Tagalys. Tagalys is a merchandising engine for online retailers, dynamically predicting what products to display across search & listing pages to increase conversion. 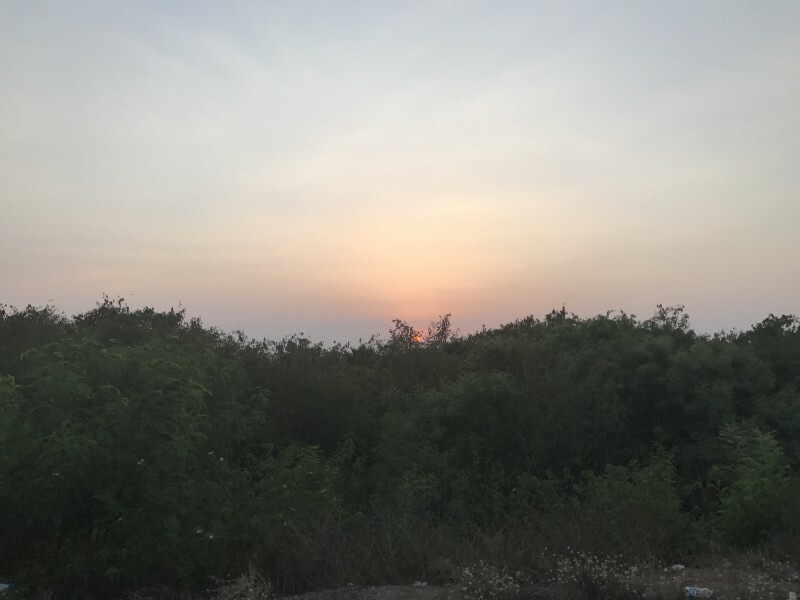 As a first time attendee of iSPIRT‘s annual SaaSx conference, I didn’t know what to expect as we drove along the western coast of India towards Mahabalipuram – the venue for SaaSx5. From all the chatter around the event on Twitter, it looked like the who’s who of SaaS leaders in India were attending. Upon arrival, I took my seat with my colleague and looked around. There were only about 100 people in the room, very different from most conferences I’d attended in the past – a lot more exclusive, and a melting pot of SaaS founders building a diverse set of products. It had all the markings of an inspiring day, and it did not disappoint. Starting with a keynote from the estimable founder of Zoho, Sridhar Vembu, the day was packed with talks and discussions focused on growing one’s SaaS company in the current technology landscape, primarily led by founders of notable SaaS companies of the country. One such event was an unconference on “Setting up and Scaling Sales across Segments and Geographies”, led by Ashwin Ramasamy from PipeCandy. Picture this: about 80 founders seated in a room, circled around Ashwin who was leading the conversation about setting up and scaling your sales team. Since the flat organizational hierarchy at SignEasy, and the culture of openness at the company provide me with a wonderful vantage point of all functions across our company, including sales, I was eager to listen to the different perspectives that the founders brought to the table. At the start of the discussion, Ashwin graciously asked the audience for talking points they’d like covered, and the discussion began. A plethora of topics were discussed, starting from the very definition of inside sales, leading up to when and why to deploy an inside-sales team. Hiring and putting together the right sales team, including whether it should be in-house or outsourced, was another hot topic of debate with many founders offering their own experiences and perceptions. The conversation then steered towards outbound sales and the mechanics and economics of that, which contributed to some of the biggest takeaways for me – things that cannot be found in a book and are only learned through experience. The success rate of outbound sales peaks at 2%, as opposed to the 40-50% success rate you come to expect with inbound sales. This was an interesting insight, as it’s easy to assume your outbound effort is underperforming when it could actually be doing quite well. Also, you should use the interest you’re receiving through the inbound channel to refine your outbound strategy – your inbound interests are a goldmine of information on the kind of industries, company sizes, and job functions your potential customers represent. At SignEasy, we are constantly honing our outbound target by capturing as much information as possible from our inbound requests. Further, the efficacy of your outbound sales effort is a direct function of the maturity of the market you’re in – for a saturated market with tens of other competitors, outbound usually fails to make a mark because it’s difficult to grab a potential customer’s attention. This is a great rule of thumb to decide if outbound is for you, depending on the market your product serves. Outbound sales also requires dedicated effort rather than a ‘spray and pray approach’ – a minimum 6-month commitment is crucial to the success of your outbound strategy. Founders should be deeply involved in this initial effort, sending out 500 emails a day for at least 3 months, and tweaking and iterating through them as they get to the most effective email. It’s also important to dedicate yourself to a channel when experimenting, but also experiment and exhaust numerous channels over time to zero in on the most effective ones. The value of this discussion, and indeed the day, was best expressed by the ferocity with which my colleague and I took notes and wrote down every piece of advice that was being dropped around the room. Being product leads of the SMB business and mobile products respectively, Phalgun and I were amazed at how much we could relate to each point being discussed, having been through and living the journey first-hand ourselves at SignEasy. 2 days to go for #SaaSx5 and we are reaching our limits for this year. I had missed a few folks in the first batch of 50 announced, so including them along with the next 20+ (in no particular order). We are almost there. Only 3 days for #SaaSx5. If you don’t know what this is about, SaaSx5, iSPIRT Foundation flagship event for software entrepreneurs of India, is being held in Chennai on 7, July 2018 (Saturday). SaaSx has been instrumental in shaping Global Software from India in the last 3 years. This year the theme is to help SaaS entrepreneurs setup for growth over the next 1-2 years. So the first 50 confirmed list #SaaSx5 companies is here. It has been a slog for us going through all the applications we received, especially the initial drive to set extremely fair criteria and process. Listening to feedback from earlier SaaSx this year we decided to allow Founder and +1 (from their leadership team). Having a tag team we believe is extremely helpful to the founders in learning, assimilating and taking it back to their teams. This also meant that given the small limited space we had to be strict in our curation to ensure most SaaS product startups had an opportunity. By the time this post goes live many other invites will have been sent and confirmed. We will continue to announce the companies finalized as we go along, so they can start preparing for the amazing sessions. There are still spots, so if you have not registered or confirmed your invite (check your email), please do it quickly. In no particular order, here are the first 50 (based on their confirmations). DevSys Embedded Technologies Pvt Ltd.
Fourth Dimension Software Systems India Pvt Ltd.
QueryHome Media Solutions Ind Pvt Ltd.
Waffor Retail Solutions Pvt Ltd.
All confirmed participants will receive further information in their mailboxes. Looking forward to an amazing #SaaSx5! Thanks to our many behind the scenes volunteers who have been tirelessly working on getting us this far and continuing on. Thanks to Chirantan & team from Software Suggest for crafting this post. SaaSy bear SaaSy bear what do you see? I see 3 shifts critical for me! Leveraging Partnerships for strategic growth and value co-creation. I joined iSPIRT with a goal to help our community build great global products. I believed (and still do) that many entrepreneurs struggle with the basics of identifying a strong value proposition and build a well thought out product. They need strong support from the community to develop a solid product mindset & culture. My intent was to activate a product thinkers community and program leveraging our lean forward playbooks model. I had several conversations with community members & mavens on playbooks outcomes and iterating our playbook roundtables for better product thinking. I realized that driving basic product thinking principles required very frequent and deeper engagement with startups. But our playbooks approach model – working in a distributed volunteer/maven driven model – is not set up to activate such an outcome. Through our playbooks model, our mavens had helped startups assimilate best practices on topics like Desk Sales & Marketing, something that was not well understood some years back. This was not a basic topic. The power of our playbook RTs was in bringing the spotlight on gaps & challenges that were underserved but yet highly impactful. As a product person, I played with how to position our playbooks for our entrepreneur program. I believe our playbooks have always been graduate-level programs and our entrepreneurs are students with an active interest to go deep with these playbooks, build on their basic undergraduate entrepreneurship knowledge, and reach higher levels of growth. The product thinking and other entrepreneurial skills are still extremely relevant, and I am comforted by the fact that there are many community partners from accelerators like Upekkha to conclaves like NPC and event-workshop formats like ProductGeeks which are investing efforts to build solid product thinking & growth skills. As the SaaS eco-system evolves, and as previous graduate topics like desk sales & marketing are better understood, we need to build new graduate-level programs which address critical & impactful market gaps but are underserved. We need to help startups with meaningful & rapid orbit shifts over the next 2-3 years. Having come to this understanding I began to explore where our playbooks could continue to be a vibrant graduate-level program and replicate our success from the earlier playbooks. Similar to an entrepreneur’s journey, these three shifts became transparent through the many interactions and explorations of SaaS entrepreneurs. There is no doubt that AI is a tectonic shift. The convergence of big data availability, maturity of algorithms, and affordable cloud AI/ML platforms, has made it easy for SaaS startups to leverage AI/ML. During a chance roundtable learning session on Julia with Dr. Viral Shah & Prof Alan Edelman, it was clear that many entrepreneurs – head down into their growth challenges – were not aware of the realities behind the AI hype. Some thought AI/ML should be explored by their tech team, others felt it required a lot of effort & resources. The real challenge, however, is to discover & develop a significantly higher order AI-enabled value to customers than was feasible 2 years ago. While AI is a technology-driven shift, the implications for finding the right product value and business model are even greater. As I explored the AI trend I saw a pattern of “gold rush” – build a small feature with rudimentary AI, market your product as an AI product… – making early claims with small changes which do not move the needle. It became clear that a step-by-step pragmatic thinking by our SaaS startups was required to build an AI-based leapfrog value proposition. This could help bring our startups to be at “par” and potentially even leap ahead of our global brethren. Here was an opportunity to create a level playing field, to compete with global players and incumbents alike. Chargebee rivals Stripe & Recurly, are experimenting with ML for fraud detection and for predicting subscription cancellation. InstaSafe (cyber security for cloud) rivals Centrify, OneLogin… have been researching AI for authentication & security. SignEasy rival DocuSign acquired Appuri for integrating ML into their product value. Nintex and AgilePoint are exploring how engaging ML bots will help understand and improve processes in the BPM space. There are no successes, yet! Our startups like Eka, Wingify, FreshWorks, WebEngage… have all been experimenting with AI/ML, stumbling and picking themselves up to build & deliver a higher level of value. Some others are setting up an internal playground to explore & experiment. And many others are waiting on the shore unsure of how to board the AI ship. How do we enable our companies to create new AI playgrounds to analyze, surface, validate and develop higher order customer values & efficiencies? To chart a fruitful journey with AI/ML there are many challenges that need to be solved. And doing it as a group running together has a better chance of success. The AI+SaaS game has just begun and it is the right time for our hungry entrepreneurs to Aspire for the Gold on a reasonable level playing field. As market needs change, the product needs a transform. As new target segments get added different/new product assumptions come into play. In both these scenarios existing products begin to age rapidly and it becomes important for startups to re-invent their product offerings. To deal with such changes startups must experiment and iterate with agility. They require support from a base “internal” platform to allow them to transform from a single product success strategy to scaling with multiple products strategy. This “internal” base platform – an infrastructure & layout of technology components to interconnect data & horizontal functional layers – would help to build & support multiple business specific problem-solution products (vertical logics). The products created on such a platform provide both independent as well as a combined value proposition for the customers. Many startups (Zendesk, Freshdesk, Eka, WebEngage…) have undertaken the painful approach of factoring an internal platform to transform their strategy & opportunity. 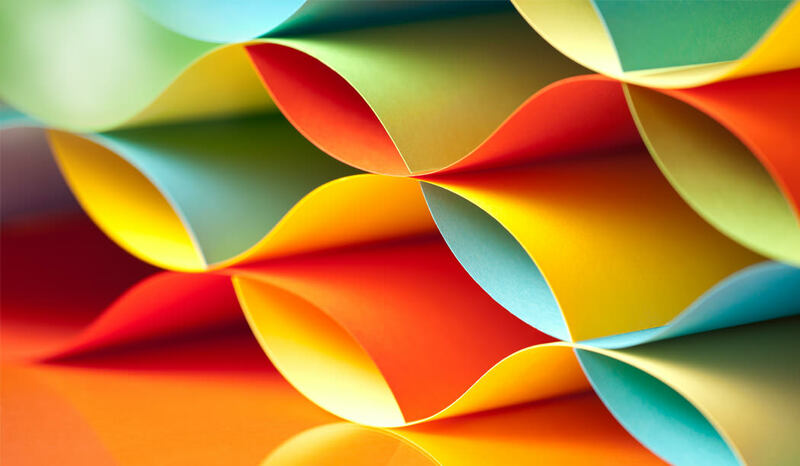 Zoho has been constantly reinventing itself and launching new products on a common platform, some of which are upending incumbent rivals in a very short period of time. WebEngage transformed itself from a “tool” into an open platform product. The effort to build an internal platform appropriately architected to support growing business needs (many yet unknown) is non-trivial and requires a platform thinking mindset for increased business development. It must be architected to allow rapid co-creation of new & unique product values in collaboration with external or market platforms. This can help the startup be a formidable player in the growing “platform economy”. A strategic partner offers 2 benefits for startups. First is the obvious ability to supercharge the startup’s GTM strategy with effective distribution & scale. How does one make a strategic partnership? Pitching to a strategic partner is very different from pitching to a customer or investor. PSPs look for something that is working and where they can insert themselves and make the unit economics even better. The second leverage with a partner is the ability to innovate in the overlap of the partner’s products & offerings and the startup’s product values. A good partner is always looking for startups which can co-create a unique value proposition and impact an extremely large customer base. Both these partnership intents if nurtured well can bring deep meaningful relationship which can further transcend scale into a more permanent model (investment, M&A…). While each shift is independent in its own importance, they are also inter-related. E.g. an internal platform can allow a startup to co-create with a partner more effectively. Partners are always interested in differentiated leading-edge values such as what is possible with leveraging AI/ML. Magic is created when a startup leverages an internal platform, to co-create a strong AI-enabled value, in the overlap & gap with potential strategic partners. I see a vibrant eco-system of SaaS startups in India working on creating leading global products. Vibrancy built on top of the basic product thinking skills and catapulted into a new orbit by navigating the 3 shifts. Through our roundtables, we have selected six startups as the first running group cohort for our AI/ML for SaaS playbooks (Acebot, Artoo, FusionCharts, InstaSafe, LegalDesk & SignEasy). If you are hungry and ready to explore these uncharted shifts, we are bringing these new playbooks tracks for you. Please let us know your interest by filling out this form. Also, if you are interested in volunteering for our playbook tracks, we can really use your support! There is a lot to be done to structure and build the playbook tracks and the upcoming SaaSx5 for these shifts for SaaS. Please use the same form to indicate your support. Ending this note with a sense of beginning, I believe that our startups have a real opportunity to lead instead of fast-follow, create originals instead of clones. They need help to do this as a running group instead of a solo contestant. It is with this mission – bring our startups at par on the global arena – that I am excited to support the ProductNation. I would like to acknowledge critical insights from Avlesh Singh (WebEngage), Manav Garg (Eka), Shekhar Kirani (Accel Partners), Sharad Sharma (iSPIRT). Also am thankful for the support from our mavens, volunteers & founders who helped with my research, set up the roundtables, and draft my perspective with active conversations on this topic: Ankit Singh (Wibmo/MyPoolin), Anukriti Chaudhari (iSPIRT), Arvi Krishnaswamy (GetCloudCherry), Ganesh Suryanarayanan (Tata GTIO), Deepa Bachu (Pensaar), Deepak Vincchi (JuliaComputing), Karthik KS (iSPIRT), Manish Singhal (Pi Ventures), Nishith Rastogi (Locus.sh), Pallav Nadhani (FusionCharts), Praveen Hari (iSPIRT), Rakesh Mondal (RakeshMondal.in), Ravindra Krishnappa (Acebot.ai), Sandeep Todi (Remitr), Shrikanth Jangannathan (PipeCandy), Sunil Rao (Lightspeed), Tathagat Varma (ChinaSoft), Titash Neogi (Seivelogic), and many other volunteers & founders. Just came back, feeling happy, from Hyderabad after doing the #PNcamp3. The drive from the airport in the evening to Gachibowli was pleasant and I got to see lot of construction in the city. I felt like I was driving in the Silicon Valley highway with wide roads and people driving in their lanes. In the evening, when I drove back from the ISB Campus, it took me just 25 minutes to reach to the airport. We have managed to do around 5 playbooks so far, 3 of them have been around Products, 1 of them was by Suresh Sambandam on Nuts & Bolts selling to the US, one of them was on Selling by Aneesh Reddy of Capillary. 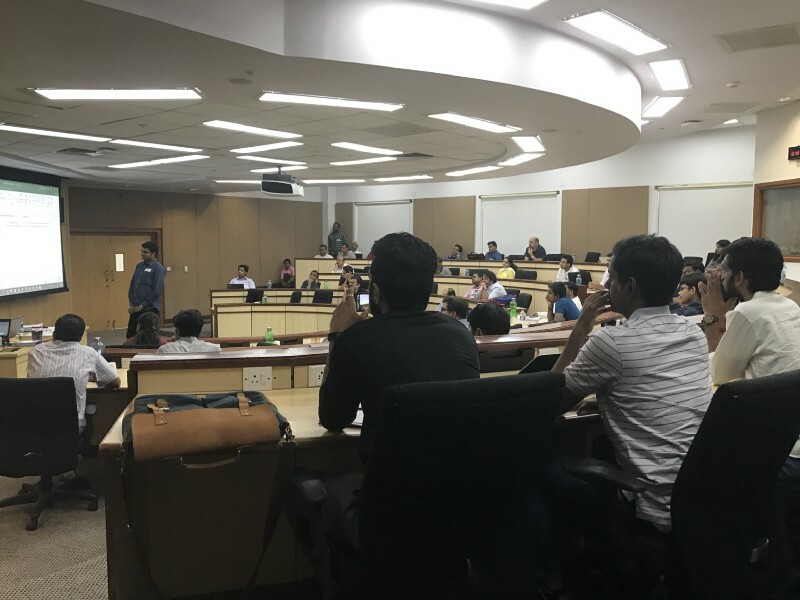 Few months back, we did put together a playbook around Product Showcase, inspite of having 8–10 confirmations, no one showed up except for Niraj from Hiver who was facilitating the playbook. I was little upset as I felt founders in Hyderabad did not value the playbooks. I stayed quite for few months and then recently wrote a blog post on my contribution to Chennai and how it is now positioned as a SaaS/B2B hub of India. Chaitanya of Ozonetel tweeted saying he will write a blog post on how Hyderabad is emerging as a B2B hub. I felt guilty of not making an active contribution to the city. So after SaaSx, I thought of putting together PNcamp3, it’s a light format and adds value to the Pre-Product Market Fit stage companies. Just to give you a little brief about the Hyderabad tech eco-system, they have an awesome Incubator/co-working space called T-Hub which is truly a global facility. Some of the leading companies from Hyderabad in the B2B space are: Pramati Technologies, Zenoti, Ozonetel, AgileCrm and in B2C we have MeraEvents and NowFloats is in the SMB space. Also you have some emerging players such as ReportGarden, AppVirality, Robustest and few others. This is just a partial list to give an understanding of the tech ecosystem. There are many more which I might have missed. 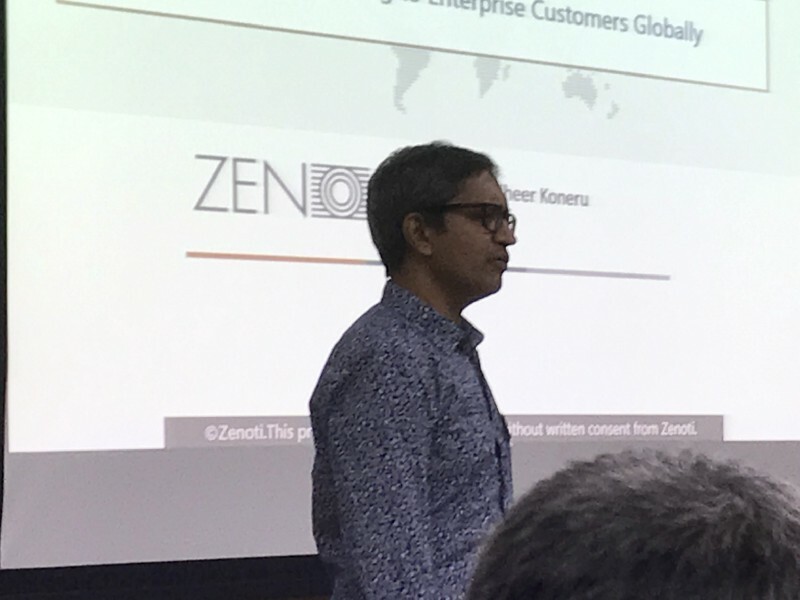 Few months back, Shekhar Kirani of Accel had connected me with Sudheer Koneru of Zenoti as Sudheer was keen to get connected to the ecosystem and contribute some of his learnings. Initially, I wasn’t even aware about them, but the more I spoke with Sudheer I found him to be someone who was keen to help the Indian eco-system, keen to do something for Hyderabad. He flew in from Hyderabad as I requested him to attend one playbook before he does any for us….that was a big commitment and he made it happen. I’m quite fortunate to have leveraged Sudheer for 2 playbooks(1 in BLR & 1 in HYD), he was a mentor at PNgrowth and shared his learnings at SaaSx4. Sudheer was the first person who agreed to host #PNcamp in Hyderabad. I then reached out to Chaitanya as he has always been there to support in any initiative that I have reached out to him for. I had been working with Laxman from AppVirality on Beyond Founders…it hasn’t taken off, but I know he was committed and very keen to contribute. 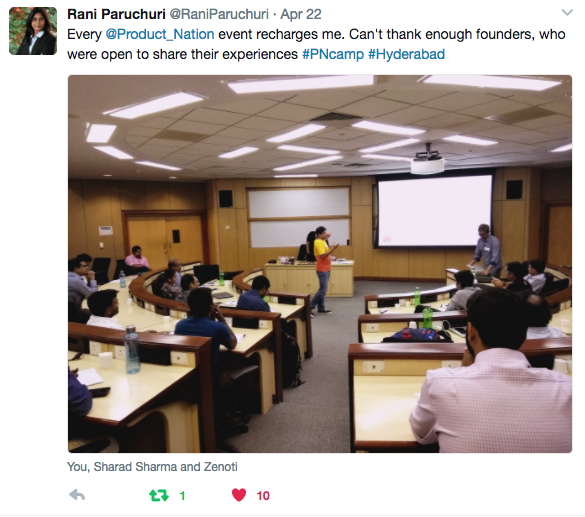 I just shared the format of PNcamp2 that we did in Pune and I said, let’s target around the 75 B2B founders in HYD and do something for startups which are in the early stages. According to Chaitanya, it was a high number, so we settled for around 35–40 as we did not have enough B2B companies in HYD. We did the first blog post announcing PNcamp and noticed that we just got 1 application in 1 week. I realised that we have to probably do little more outreach to get the 35–40 number. Then Sainath Gupta heard about the PNCamp in Hyderabad, he shared it on Facebook and I did speak to him to help us out. Without knowing what we were getting into, he agreed and I set a target for around 75 B2B startups, probably around 40 from HYD and the remaining from other parts of India. I also told him that to get to 75, we have to probably get around 130 applications as we follow a tight curation process. I did update Laxman that we were not doing too well on registrations and he did reach out to Praveen Dorna who was very active in the ecosystem. I got both Sainath & Praveen on a call and requested for help. Both of them took on the target of getting around 75 people for PNcamp. Luckily, we managed to get around 90 applications out of which around 63 were short-listed and eventually 55 showed up for the event. We started at 11am sharp with a warm welcome by Sudheer. This was followed by an inspiring talk by Jay Pullur. It’s safe to call him the father of the product ecosystem for Hyderabad. He started Pramati in 1998 and was one of the leading product companies in the Middleware space. Jay shared some insights on what it takes to build a global product company from India. There were lot of questions which came and he gave his insights to the startups and I could see that maturity and the depth of product knowledge that he had gained over the last 19 years. We quickly moved on to the Product Tear down sessions. 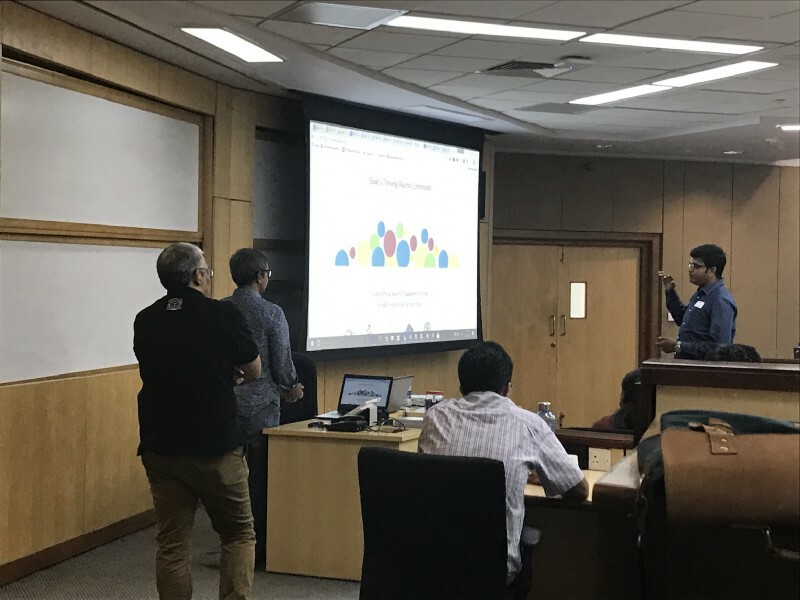 I was very nervous till the last minute on how the session would be conducted….but Sudheer and his team which included Mrityunjay, Anand & Bharath did a fabulous job of shortlisting 5 companies. They actually tested out the functionality, ordered stuff, called up the startups like a customer and availed their service. They did a thorough analysis of their website, their market, their messaging, etc. One of the key things mentioned by the team was copy…copy…copy as the basics were not in place from few companies. This was something which Shekhar had also mentioned when he did the tear down in SaaSx. The startups who presented got some good value and appreciated the efforts put by Sudheer’s team. Product Tear down is a good format which was started at SaaSx and now we are hopeful that we will be able to take this virtual. Apart from this, we tried a Pitch tear down session, without the VCs, the session went well and i’m glad that most of the founders were trying to help each other in the session. Kevin William David of Siftery shared some thoughts on how you should be launching your product in ProductHunt. The session was around Product Launch…but a few companies shared their learning on how they launched the product…but it was ok…as the idea was to get them talking. We were around 5:30pm when Sudheer started his own learnings on Building a Enterprise company for Global markets. He shared his learnings and how they have been obsessed in understanding their customer business. Sudheer and his colleagues actually bought software from the competition to understand how it works and many times went to customer to learn from them….never to sell. That was a very powerful insight. Most of the folks are always in the sell mode when they meet customers…but it was so good to see someone going to meet potential customer to understand how their business works. Tweet from one of the attendees. I feel happy after making a small contribution to the HYD eco-system and I hope to work with the team again to put together the next #PNcamp in the city. Also, thanks to ISB for allowing us to host PNcamp in their wonderful facility. Was blown away by the infrastructure that the city has. Blown away by the commitment of folks like Sudheer Koneru, Chaitanya Reddy, Laxman, Sainath Gupta, Praveen & Ronak Samantray for putting a great show. We just pulled this off in less than 25 days, with just a few calls…and a few whatsapp messages. Most of the metrics we are going to see here will sound obvious but I’ve seen even some matured companies do not actively follow it. In a startup company discipline becomes very crucial, keeping things simple and measurable helps a lot. There are more complex metrics like Customer Acquisition cost (CAC), Lifetime value of the customer (LTV), Average revenue per customer (ARPA) etc, but I feel it’s better to have basics correct before complicating it too much. Lead Quota: One of the common mistakes I’ve done in early stages is not setting up a lead quota for the digital marketing team. We simply allocated a monthly budget and not actively measured exactly how many leads we have generate for that month. The goal of marketing team should be increasing the number of leads (quality) we receive every month. If we can measure just this one metric then the other metrics become irrelevant from a top management perspective, example volume of visitors to the website. The number of visitors to the site really doesn’t matter, it’s the quality of conversion that matters. This will push the marketing guy to look deep into finding new channels, tuning the existing channels, A/B testing the landing pages etc to increase the lead quota. Cost of Lead Acquisition, this becomes the second part. How much money are we spending each month to acquire X number of leads? In an ideal situation, we wanted to generate a maximum number of leads from the minimum amount spend. Once you have a baseline number say for example 200 leads cost $20k, the cost of lead acquisition is $100 then we can push on optimizing it and bringing the expense down or increase the budget and hence the lead quota. One of the major problems in the digital marketing is if you are not careful it’s literally throwing money in the fire. PPC platforms like Google, LinkedIn, Facebook etc will all just observe it as much as you throw at them. Sales Quota – also termed as revenue generated per SDR (sales development rep). This will hugely vary from startup to startup, most likely in the range of $2k-$3k MRR (monthly recurring revenue) in a typical SaaS startup. It’s important to balance out the number of leads required for the SDR to achieve the assigned sales quota. The number of leads that can be handled by an SDR will be industry specific, in a B2B long tail sales pipeline typically a 1 or 2 quality lead per day is a good number, whereas in a short sales cycle SaaS startups it can go up to 8 per day. Don’t go beyond this, it’s practically impossible for the SDR to handle since you also need to consider the backlog follow-ups that add up quickly. Once your SaaS startup gets enough traction and you have a handful of customers, it’s important to set up a Customer Success team to make sure the existing customers are happy and address their concerns as soon as possible before they become unhappy and start looking for alternate solutions. The startup founder should give as much importance to customer success as marketing and sales team. I’ve seen companies focusing purely on acquiring new customers and not paying attention to churns, if you think the amount of effort gone into acquiring those customers, it’s become vital to preserve them. It’s 5 times harder to acquire a new customer. Expansion Revenue is the revenue that gets generated from existing customers. Ex: If you are help desk product, the expansion revenue is the additional revenue generated by existing customer either buying more agents or moving all of their agents to higher tiers. This could be one rewarding metric for CS team. Churns: The goal of the customer success team should be predominantly reducing the churns, and any expansion revenue they generate is a bonus. The culture of the team shouldn’t be set for increasing the revenue, rather it should be set for pure customer happiness and reduce the churns. You can monitor the expansion revenue and churns as metrics for customer success teams. Strength of a industry is not just judged by how much it contributes to the economy. There are a number of factors to consider and surveys play a major role in painting a clear picture. The India SaaS Survey is all about getting the pulse of the burgeoning SaaS ecosystem in our country. A survey of this kind is indispensable in drawing an insightful analysis and in getting credible benchmarking data about how the industry is shaping out. Though nascent, the SaaS industry has a lot of potential. The data from the survey is useful not only to help entrepreneurs and investors but also showcases the prospect of the industry to technically sound aspirants looking to step into the industry. Signal Hill, India’s largest software investment banking advisory practice in partnership with iSPIRT, the Indian Software Product Industry Round Table decided to conduct the India SaaS Survey last year. In their commitment to refreshing results of the survey annually, the second edition took shape. The learnings of the first edition has made the second iteration a better fit to the cause. iSPIRT puts the number of respondents who took the survey at 10% of the entire SaaS ecosystem in India! This sizable sample size with variation ranging from bootstrapping startups to the biggest names in the industry is what sets it apart from the rest. As the SaaS ecosystem in India continues to grow, participation is bound to further increase and India SaaS survey would be the benchmark. SaaSx is a community for SaaS founders by SaaS founders, so if you are just contemplating starting a SaaS business, this event is not for you. This is the 4th edition of the event where all the SaaS founders come together to share notes, network and go back with a lot of lessons. Take a look at the previous editions here where founders have shared their learnings and also had lots of fun. We’ll start with an Unconference session on “Getting the basics right: Right problem, Right market”. This session will help those on the quest for the right product-market fit, and how to get there quickly and efficiently. Experts who have been there will share their stories of how they set the right foundation for their growth. This is meant for folks who are in the early stages of their SaaS journey. For SaaS founders who have crossed $1MN in ARR, we have a Org/Growth teardown for 5-8 growth stage startups. This is a closed door session and you will need to get an invite after your registration is confirmed. If you don’t hear from us then please assume we couldn’t accommodate you. If there is enough interest and companies in the range of $300k-1M, we might run a Metrics workshop on the cards. Like last time, we will have Product Tear Down sessions where 3 founders will get an opportunity to talk about their product and get feedback. Take a look at the previous edition to see what it is like. This is a great opportunity for new startups to have their product analysed by an expert panel from various angles such as opportunity, UI/UX, funding, etc. If you are wondering “How do I make Biryani, i.e. building a differentiated product?”, we are also planning a session to list popular examples and tear them down by “aspects of differentiation and moat”. We’ll discuss the “Aha” factors of your SaaS product and will also do a Biryani teardown for startups that have crossed $300k ARR. We will have a dedicated session on “What is the right org/model that needs to be put together for diff types of SaaS biz”…Our community has been buzzing with many such questions lately and SaaSx3 might be a great way to address some of the questions here. Apart from these sessions, you will have ample opportunities to network with some of the leading SaaS founders from India. If you are coming from Bangalore, the sessions start right from the bus! We only have seats for 150 founders, and we’ll have to give a heavy-hearted “no” to lots of disappointed people! If you would like to be part of this, reserve your slot right away! Register now if you would like to be a part of this fun-filled, unconference! See you in Chennai soon and let’s get high on SaaS! When you say “reduce SaaS churn”, most people will immediately imagine tactics like drip email campaigns, great onboarding, customer marketing, gamification and automated alerts when users show signs of leaving. But this post is not about tactics. This post recognizes that users are smarter than any of the cute tricks we can come up with, and it attempts to get to the core of why there are some products that business users keep paying for, and others they discard. If you’re a founder or product manager, I’ll encourage you to think deeply about this stuff, versus thinking about your next “growth hack”. When I started out at VWO a few years ago, the most important metrics were “free-trial signups” and “paid customers” (about 95% were self-service monthly subscriptions). Back then, Google Analytics (GA) was our most important source of data. We recorded free-trial signups, upgrades to a paid subscription and revenue in GA so it was what we looked at everyday. Because of all these changes, Google Analytics isn’t important anymore. Instead, the big decision are made after looking at reports in the CRM and our database, where all lead/deal/customer/revenue data sits. Through this shift I observed how when businesses evolve, the metrics that matter to them change, and this has a domino effect on the SaaS products that fall in and out of favor. Now here’s another interesting anecdote: VWO has a large number of ecommerce customers. For the majority of these businesses, Google Analytics is the “source of truth”, so we simply had to build an integration with GA. In fact, we once lost a big customer because their VWO test reports didn’t agree with their GA data (completely possible and for good reasons, read this to understand why). The internal VWO champion tried to fight it out and explain the difference to management, but we lost the customer after some time. So my point is this… it is well worth your while to build capabilities that will be used to make the important decisions, and if that’s not possible, then align your product with the primary reporting tool used by your target market. While you’re building a product that keeps producing results with minimal interference, give a thought to how you can add public branding for that little bit of ‘virality’. It’s also important to note that products tied to performance will quickly be removed when that performance isn’t enough. In this case, the product itself may be great, but it is dependent on something else working. For example, landing page software gets abandoned when the Adwords campaigns it was used for aren’t working out. While building your product, talk to users about the data they find most useful and want to look at everyday, or see what parts of your reports are accessed most often, then send that data out as daily/weekly emails. It becomes a part of users’ morning routine to check the emails and note/discuss/alert if something’s going right or wrong. Think Zapier, PipeMonk, Jitterbit and Informatica. Admittedly, data integration is more of an enterprise problem, but the good thing is that once put in, they’re very difficult to remove. That’s because they’re usually implemented after someone high enough has identified the need to have all the various data silos talking to each other, and that robust decisions can’t be made without a complete picture of the issue at hand. Components that monitor and alert automatically? Yes, primarily alerts to sales owners about lead activity, and other alerts around social media, monthly/quarterly goals, etc. As you can see, Hubspot is doing pretty well in minimizing churn. It seems to me that would be the case with most large, successful SaaS products. In fact, understanding the reasons why organizations keep paying for products is why large successful software are large and successful, as compared to just large. I hope you’re able to use this post as a framework to think about what makes products stick, and apply those principles to the products you’re managing or building. Also, do you have anything else I can add to this? For some reason it seems to me the list is incomplete. Guest Post by Siddharth Deswal, Lead Marketing at VWO. #SaaSx3 has made a huge difference for Syscon. Step-by-step secrets of deciphering the digital world. We are an ERP product company. Our ERP solution, Syscon Cronus is targeted for manufacturing industries. We have all along for the last 20 years were been following traditional marketing route, out-bound. Though being an IT company, may be due to my manufacturing background and our Customers are from the same segment, we never put our stake in digital marketing. We always believed in Outbound rather than Inbound marketing. SaaS x3 has completely changed my perspective. It was such a power packed digital Sales event. But the real beauty was the way it was structured. Every step was explained in detail that a dummy like was able to understand and implement it. I really would thank the great guys like Girish, Suresh Sambandam, Pallav Nadhani & Shekhar Kirani who had taken their time-out and make it a point to hand-hold the eco system. Also wish to put my learning as a gesture to them, though many of this information will be available in a much better way in public domain. It is all google Adwords, Analytics. If google does not have a category for your business better do not waste your time (or) you can still run your business a life style one. Having identified your business category, Google might provide its key words suggestion. Make sure that you pick the generic ones. Also spend time in identifying your own key words. After the key words are just the way you think that your customers are searching for your product or service. It may not be wise to use the competitors name / brand as your key words. It may fetch more as impressions and clicks but may not conversions. Make sure that you remove the negative key words at least once a week. You have to spend money on Adwords and but decide how much is feasible for you. The first day after completing the above the bounce rate of my website was 99.9%. I never scored good marks in my education and I was happy to see that at least my website was doing better. Later I came to know that it is real bad news for the bounce rate being high. What is bounce rate? Bounce rate is an indicator that shows as to how long the visitor spent time on your site. We then spent time in fine tuning the site performance of home page and other page information. Most important learning was, Call for Action (CFA). When a visitor comes to your site what you want them to do. So the first image in your site has to tell what you do and now what you want them to do. If this is not addresses well traffic will not lead to conversion. Results: The bounce rate has reduced from 99% to 5 % which has resulted in 70% increase in organic traffic. It is important that you need to write original interesting content about your product and business. Earlier I use to write articles in Linkedin. But I never thought that it was to be connected to my site. Now I post 3/4 of the article and for balance article it is linked to our site. Presence in Twitter, Facebook and Linkedin is important. We have been making at least 2 posts per week. Results: This has created traffic from social media 40%. Make the Customer as your marketing engine. Pallav’s presentation was so impressive. Soon after the event, we have implemented one small thing. In all outbound documents like Invoice, Purchase order, Offer etc., we have just added in the right bottom “Powered by Syscon Cronus” This was delivered with our latest patch. Result: We have already received 4 enquiries through this. The product tear down session by Suresh Sambandam was too good and very detail in highlighting the missing parts of our website from the visitor / prospective client perspective. But the $1 million to $5 million was an ultimate-one by Girish – Freshdesk. In today’s dirty world, no one wish to give out so much of critical business information. I could also see the openness of the Investor – Shekhar Kirani, Accel Partners. After this SaaS X3, our business dynamics has completely changed. All of us have developed detail eyes in the company. With so much of activity even our development and testing teams have become more agile. Every time when we make a new version release, there will be at least 1 or 2 critical bugs and 5 -6 non-critical bugs. But surprisingly, this time there were no bugs. Our team has become more conscious. I wish to thank each and every one behind SaaSX, especially to Girish Mathrubootham, Suresh Sambandam, Pallav Nadhani & Shekhar Kirani for their self-less efforts in creating strong SaaS eco system. The morning of the SaaSx3, saw a round table by Pallav Nadhani, CEO of Fusion Charts. And I was one of the few lucky people who managed to find a seat at this already cramped round table. Who are you & what will the world miss if your company dies in 10 years? The question (although slightly morbid) did its trick. It gave us an idea of what we had in store for the rest of the RT and beautifully set the context for what we could expect. And what we had to do if we had to market a product. Interspersed with quirky humour, anecdotes, and important questions to ponder, the session was definitely interesting and novel. We usually talk about our product, our goal as a company. But Pallav stressed on the importance of flipping the question and address the problems of the customer. It’s only when marketing defines product, will the product shape into an answer for the customer’s problems. And you’ll be building something that customers will get value out of. He asked us to put a “why” to the problem that we were trying to solve for our customers. “Why shouldn’t you have access to your files, whenever/wherever you want?” was Dropbox’s question before they started building their product. Similarly, ask yourself that “why” to the problem you’re trying to solve. Depending on the nature of your product, decide who has to be engaged to ensure you’re able to sell to them. Figure out “Why” should that person use your product? Everybody has a different reason, but what’s that persona’s reason? If you’re asking somebody to switch from an existing product to a new one, how seamless is migrating? If it’s a new product, how will you sell him the need? Tip: Ensure you’re asking the same “why” as your customers. Pallav cited an example here. Every time there’s a new download, they send an email to the customer asking the purpose behind the download. This way, they made sure that they were delivering on what customers expect from them. Collect as much information on your customer (in a non-stalky way, of course!). The information should include the information that they consume on a daily basis, and how do they consume it. And how do you make sure you are in those media, so as to make an impression? A classic example of this that he quoted was the billboards. He asked us to recollect some of the latest billboards, and then tried to delve into the reason behind it. We discovered that we see the billboards that we choose to see. If you’re hungry, you remember a restaurant’s board, or a car if you’re looking to buy one etc. Tip: Make sure you actively hit customers that are seeking for your product. Identify where your customers would be, and then hang around to make an impression. We discussed various ways of doing the actual marketing here. One of the classic marketing strategies is The Sniper Approach vs Carpet Bombing approach to marketing. Swearing by the sniper approach to marketing, Pallav said that, rather than trying a wide casting net approach with different experiments, try a laser-focused activity with precision, to ensure you nail the sell! And the only way to do this would be to, Know your user, see if you understand a DILO (Day In the Life Of) your customer (creepy, but highly insightful) and see how you can fit into the picture. Also, can you partner with someone to push your product? Or can you poach any partners of your competitors? Tip: Unless you discover who you are, and why you exist, nothing can help you explain it to your customers. Find that key problem that you’re trying to address and make it your goal. Identify your ideal user & study the various personas. Now ensure you “marry” the your goals to the user’s needs. Work towards creating an experience, so your prospects take action. Collect as much information as possible on your customer, so you know when and how to hit them with your product. I travel to India once every quarter to catch up with our India team based out of Coimbatore. I was planning to attend SaaSx for a while now and this time, it was perfect timing the event is scheduled on 2nd April, right in the mid weekend of my India trip. This is an invitation-only event, I’m thankful for the organiser to get me involved. With 200 attendees where the majority of them are founders and key people in some of the promising and growing companies on the Indian start-up eco-system, you can sum up the experience in a single word it’s “awesome”. Even though there were lots of sessions, round-table playbooks, product tear-down analysis, countless conversations we had between founders during the event, the one session by Girish from Freshdesk stood out and made everyone speechless. I wanted to highlight more about it here. When Girish assembled his sales/marketing team on the stage and opened up the statement, please do not share anything I speak on this stage outside this room, and we need to get investors approval to reveal this data, I know something interesting is going to happen. It was kind of nostalgic moment for me, I heard a similar sentence from Peldi from Balsamiq when he opened his speech at Business of Software at Boston last year and that session turned out into one of the best sessions of BoS 2015 (Rookie CEO Grows Up. Reluctantly). In that session, Peldi literally opened up some of the confidential emails he had with possible acquisition offers, the conversations he had with his team, and how they boldly stood against the offer etc. Girish did something similar down the lines showing the real reports he was sending to the investors, with some key metrics like revenue targets, projections, the goals they were setting for the sales team, how they aligned the marketing and sales team to work together, different experiments they were doing with several revenue channels, how they drop some non-performing channels, and so on. To respect the confidentiality of the subject I’m not going to go into the detail, but cover some interesting general topic Girish highlighted. Everyone needs inspiration, most of the founders read tons of books, blogs, magazines etc (I haven’t met a single founder who said I never read any books). The problem is to get a single actionable item from reading a book takes hours and weeks, still you won’t be sure and just need to experiment and find it. But what Freshdesk team has shared is real data that took them from $1m to $5m in annual recurring revenue (ARR), which is priceless (note: the $5m is not their latest number). Every slide they shared had something for me to take away and I believe that’s the case for everyone. I have known Girish personally for few years now and he is a kind of person who goes with the gut feeling and figure out what’s happening. I’ve captured some of his best statements during his presentation “Do best of your potential and you’ll eventually end up somewhere higher up”. This is such a true statement, you set your vision on $5m ARR and align you sales/marketing team towards that goal, and work backwards. Even if you don’t achieve $5m, for sure you are going to end up somewhere higher up than where you are right now. The second best statement is on utilising the talent in the right way “Don’t try to put something into people, what god intentionally left out”, this is not the first time I’ve heard Girish saying this but this is something worth repeating. To give you a better analogy, if you take Sachin Tendulkar and ask him to do wicket keeping and complain he is not performing well, whose problem is it? Is it Sachin Tendulkar’s or the selectors? Same for start-up founders, understand the real potential of your team (team member) and place them in right places. Jim Collins highlighted this in his popular book “Good to Great”, it’s not just about getting the right people on the bus, and it’s also about setting them in the right places for you to be successful. When it comes to pricing, Freshdesk made couple of important pricing changes during their journey, first one is introducing the expensive Estate plan (that time) as their last tier, they figured out people are always reluctant to buy the last tier, even if it has some interesting features, it’s more of psychological thing, and they figured out n-1 tier performs better, hence, they introduced the Estate plan with just gamification, the intention is not to push and sell this plan, but to sell the n-1 tier the “Garden” plan. They also made some important pricing decisions on how they structure their free offer. Previously it was 1 free agent on any tier, and they moved it into 3 agents free for life. There are a couple of key factors in this decision if there is only one person doing support then there is no necessity for a help desk system, and also, they are throwing away free agent license on each tier which the customer would have bought anyway. The key takeaway for me in this is when designing the free tier, make sure it’s useful for the people and also it’s aligned with your goal of eventually converting them into paid customer gracefully. Getting to the unicorn status, the “triple-triple-double-double-double” formula. Girish highlighted this article from Techcrunch “The SaaS Adventure” during his talk as one of the influential blog that helped him to set the target of growing from $1 to $5m. The article explains how you scale to unicorn status, what are the benchmark numbers to hit. It’s $2m > $6m > $18m > $36m > $72m > $144m (i.e. triple-triple-double-double-double). If you need to be listed as the unicorn, then the magic number to hit is $144m ARR. The other important information he shared is finding the magic number of leads for each sales person. At the early days, each sales person at Freshdesk were handling at an average of 800+ leads per month, which of course is not efficient. In order to fight against time, they were using automated email sequences to improve the lead quality. Girish accidentally bumped into this article from Hubspot “CREATING A SALES PROCESS FOR YOUR INBOUND LEADS: 150 IS A MAGIC NUMBER” where they discuss in detail about the magic number for a number of leads a sales person can optimally handle i.e 150 per SDR, and they scaled the sales team accordingly. A little bit about customer success team, it’s very important to set up a customer success team as soon as possible to avoid churns. Most of you might know the leaking bucket analogy, if you have holes in your bucket, where your customers are churning regularly, then you’ll be constantly fighting against filling the bucket to maintain the level instead of growing. In a lot of companies it will be a bit late when you realise it, when you call a customer who has already left you, it’s way too late. They might have already set-up a system from your competitor, and you need to sit and wait to hope they won’t like the competitor’s product. Freshdesk has done similar mistakes in the past and now they have the process in place to avoid it. Even though this article would have given you some interesting tips shared by Girish and Freshdesk team, there is no alternate to hearing directly from horse’s mouth. With the great sense of humour in his speech and ability to instantaneously crack jokes on stage, I thoroughly enjoyed the session, noted down some key tasks and set myself a target where I wanted to take BizTalk360 by the end of this year. In the future if you get a chance to attend one of the SaaSx events, don’t miss it. Hey Indian SaaS Founders, Are you dreaming big enough and aiming high enough? I took SaaSy bus to attend SaaSx3, a fun journey networking and ice break session among SaaS founder The sessions were on common challenges from funding to hiring right resources and also instant mini FinTech RoundTable (picture below). The venue was at Chennai (Mahabalipuram) well described by above tweet and event started with afternoon session by Pallav Nadhani of FusionCharts on Referral Marketing. The discussion started emphasizing needs of marketing starts before existence of the product and continues with product and marketing should not be looked in silos away from the product. One question for SaaS founders is whether their startups are geared to leverage product features to perform self-marketing of the product The session brought some real examples of SaaS firms who have already done this successfully. The impact of using “Powered by Logo” inside your product features on B2B2C websites that are focused on end user was highlighted and is more effective to target customers from new geographies where your product has not been adopted and are in early stages of entering new geography. Sell lower price plan without option to “White label” product offering. After product is adopted, the lowest price plan can be offered as “Free forever plan” without white label option. Find a WordPress plugin that is active and popular. Buy plugin and add one line in this plugin and publish the plugin. #OneThing session happened where SaaS founders were asked to share a set of one things that creates significant transformation in their startups. “Support and train customers for first 45 days increased NPS score” – Think of it as customer Success Channel that is needed in scaling stage. Keep high touch with customer and experiment how to maintain high touch with customers being online and not on-site. Leverage and experiment with cloud telephony, gamification and customer management. Product Tear Down session where SaaS founders offered their product to be teared down by expert SaaS founder and audience. The experience SaaS founders published guideline template based on which they will provide feedback to brave startup like Zipboard and CanvasFlip and here are comments that apply to lot of startups found here too. You first need to go deep focusing on the right customer segment before going broad. While building a branded website, remember that website home page needs to convey emotional, functional and technical aspirations to connect with your audience. One good example is slack website, it is inspirational. While displaying metrics of your product on the website, show metrics that creates positive impression in mind of prospects. Small number may not create right impression. Remove small irritants. Devil is in details. No right or wrong strategies, only shades of right while building startups. People who teared down choose right words to share comments to the founder who offered his product for tear down, also adding kind words “Do not become defensive. Their inputs are to improve not to criticize”. SaaS founder in the audience really liked the positive impact of product Tear Down session and followed with asks to #ispirit to have more startups in Product Tear Down sessions and suggestion for virtual Product Tear Down session. Alliance building approach steps – find complimentary product. Check whether your product adds to their value offering and whether other product have efficient reach to your customer target and whether joint offering creates value for your customer base. Do not keep building a lot of non-core features in to your product and make the world as your competition and end up with no partners. Everything need not be data driven. You can do things that people would notice and they will notice when things are on high quality bar. Do what is right for customers first. Help sales team to develop focus on customer success by incentivizing to help customers first. Started with sales team of young minds fresh from college and they started with focus on number of agents sold rather than revenue of agents sold. Once they were more customer focused and time arrived to scale, a change was implemented in discussion with sales team to change their focus to revenue earned per sales team member. The importance of alignment between marketing and sales using instances from freshdesk journey. Hired fresher’s following hack “Hire them for attitude and you can get them skills”. I liked the fact that the hack was implemented in sales and marketing function and not only in engineering. Similar to other startups, freshdesk also got junks as prospects. They pruned not only junk and also channels where hunk data originated from. More junk arrival from channel lead to removing channel, leading to arrive at list of channels that worked for them.